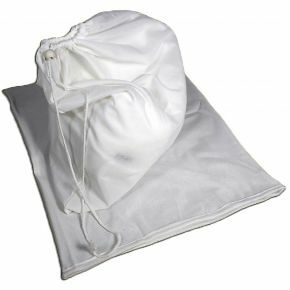 This mesh bag is ideal to use in most nappy buckets. Simply lift the whole bag with the nappies in, out of the bucket and pop it all in the wash. This can also be used in a little bin or bucket for your used family cloth or reusable cloth pads.